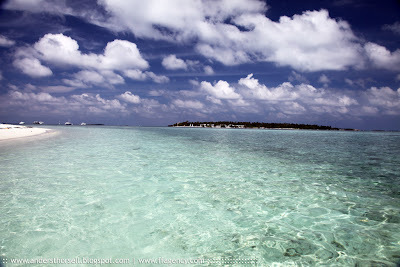 A nice view from Hulhumalé island in Maldives. Photo: Anders Thorsell. Hulhumalé is a reclaimed island located in the south of North Male Atoll, Maldives. The artificial island was reclaimed to establish a new land mass required to meet the existing and future housing, industrial and commercial development demands of the Malé region. The official settlement was inaugurated by President Gayoom on May 12, 2004.